The Ecommerce Disruptors Podcast - Presented by Electric Enjin is your go to source for ecommerce digital marketing tips, techniques, and insights to be a disruptor in your industry. To stay up to date on all future episodes – subscribe to the show and follow us @electricenjin on Instagram, Twitter, and Facebook. In today’s episode of Ecommerce Disruptors, Rod Morton, Director of Digital Marketing at Sparks chats with Noel Lopez about everything from leading creative teams at huge agencies, to starting his own business, to leading digital marketing at an experiential marketing agency, to even developing his own mobile app. 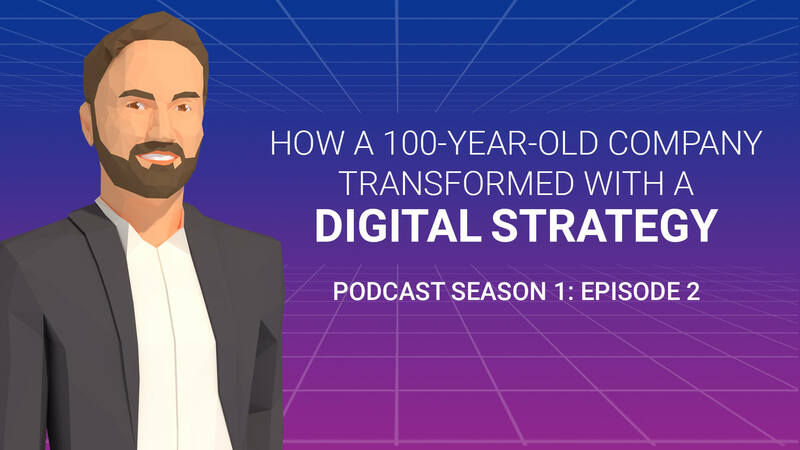 This is a great episode for everyone, whether you’re new to digital marketing or have been in the game for years. Rod has seen this industry with fresh eyes and as an expert who claims that as a lifelong learner, he’s still got a lot to learn about digital marketing. Are you interested in learning more about implementing search engine optimization into your business’s digital strategy, or even interested in learning more about the niche experience marketing industry? This podcast is for you! Enjoy learning more about Rod Morton, and be sure to subscribe for more lessons from experts in the digital marketing agency. Welcome to the Ecommerce Disrupters podcast where alongside digital marketing experts we give you our best tips, techniques and insights on how you can be a disruptor in your industry. Noel Lopez: In this episode we talk with Rod Morton, Director of Digital Marketing at Sparks. Gotta say I really enjoyed this one a lot. And throughout it will follow Rod through his experience working in design, to owning his own businesses, to his current role. Noel Lopez: Sparks is an experiential marketing agency that works with companies like Google, Twitch, Waze, Lego and much more. Sparks has benefited from the implementation of search in their own digital strategy. And throughout this you'll learn a lot about the power of search and other digital factors that can help your business no matter how small or how large you are. Noel Lopez: Hey guys. Welcome to E-Commerce Disruptors presented by Electric Enjin. Where we give you tips, tricks, techniques to help you disrupt your industry. I'm Noel Lopez and today we have our gust Rod Morton, from Sparks. Rod, if you wanna tell us a little bit about yourself? Rod Morton: Sure. I am the Director of Digital Marketing at Sparks. I handle kind of a hybrid position. I handle SCO Tactical, SEM site design, site content. Also the site editor including blog and news and I also handle outbound, inbound via our CM which is per dot. Do it a lot of stuff. Rod Morton: Lot of stuff. Lot of stuff. Yeah. Noel Lopez: I mean, how long have you been at Sparks then? Rod Morton: It'll be five years in January. Noel Lopez: Congratulations. I'm gonna assume you like it then. Rod Morton: Yeah. It's one of the longest stints besides my own companies that I've done. So yeah, I actually like it there. It's really a good company to work for. Noel Lopez: Nice. And just tell us a little bit about how you got involved into marketing. What's the Rod Morton origin story there? Rod Morton: Well, it starts way back before you were born. So I have a master's degree. I'll start at master's. I won't go any further back then that. Rod Morton: So I have a master’s degree in design from NC State University. At the time, it was called School of Design. Now it's called College of Art and Design, so it's a bigger situation there now. I was a college professor right out of school teaching art and design. That was really good. I really liked teaching. I still like teaching. Noel Lopez: How was that? Noel Lopez: So you were right there. Rod Morton: So right on the cusp. Right, yeah. And we didn't embrace it as quickly as we should have embraced it, especially being B2B versus B2C. But we had some pretty big clients. Cisco System was a PR client of ours for a couple of years. Big, big client. We actually were doing PR for their distribution gear, which is great. I mean, that was their top dog, so it was a lot of fun. Their campus was huge out in the Research Triangle Raleigh, North Carolina, so it was good. Then from there, moved to the northeast to take a bite out of B2C and ended up ... I had my own company called HOSS, little southern thing going on there. And then onto Publicis Modem, where I was a creative director. Became the creative director, the lead creative on Heineken and Heineken Light. And that was a lot of fun. Noel Lopez: That must have been fun. Noel Lopez: It's a shift, for sure. Rod Morton: Yeah. So the interim HOSS was there was a lot of B2C there, including the US Open, that sort of thing. So it was great. From there, I had another small creative company called Rod Morton Creative and I was basically working for other agencies. BBDO and Ammirati and Colangelo, et cetera et cetera. Lot of companies in Connecticut and the city and New York. Noel Lopez: So one of the first things that jumped out to me is you started B2B and then made that switch to B2C. How was that? Rod Morton: It was, and again, I'm not ... It's in my personality, it's like I try to do something I've never done before and just try to go at it. Make a lot of mistakes, and I'm not afraid to make mistakes or look stupid because you look stupid a lot. Especially in digital, if you don't know what you're doing in digital. Noel Lopez: Well things are changing a hundred miles minute. Rod Morton: Yeah, exactly. It's a little easier now to look crazy because the people don't quite frown on it like they did say like five years ago or lighter. Noel Lopez: Do you have a preference to either one? B2B or B2C? Rod Morton: I don't know that I do. I mean, it's funny because Sparks clients, we consider them B2B. But they're really B2C companies, and big ones. So you get a little bit of both worlds because you need to have B2C chops for them to pay attention to you, but then you need to be good at understanding their sales propositions, et cetera, et cetera. So that's straight up B2B kind of play. Noel Lopez: Very the best of both worlds. Noel Lopez: I know you listed off a couple brands you've worked with. What was one of your favorites, and what was one of your biggest challenges with them? Rod Morton: Well, at HOSS, we were the branding agency for the Tennis US Open for about four years. 2003 to 2007. So I got a lot of work with not only some really good marketers that were actually there at the US Open, but really well known illustrators like Michael Schwab, those kind of guys. So we did all of their ticket designs and subscriber boxes and their environmental designs. That was really cool, it was really a lot of fun. Rod Morton: The most fun was going to vendor day at the US Open, where you were invited and you would go sit in the President's Box. And so it ruined me for going to the US Open because after you've been in the President's Box, and you're sitting right there. Rod Morton: It's the perfect seat. I mean it really is the perfect seat to go watch tennis. And live tennis, I really love live tennis, too. Rod Morton: Yeah, it was really good. But also Heineken. Heineken at Publicis Modem, it was super exciting. At the time, all the guys that we work with, you know you have Ryan Roessner, who works for Electric Enjin, he was on that team. I don't think we realized how good we had it at that time. Noel Lopez: And for you guys out there, Ryan Roessner is actually our lead designer and he's put together some amazing work. Rod Morton: Oh, he's amazing. He was amazing then, now he's even more amazing now. Noel Lopez: He just gets better and better. Rod Morton: Yes, no doubt about it. Noel Lopez: So for the whole e-tail, how has that changed your life personal? Rod Morton: Well, especially looking at it with the goggles of Sparks, because the whole idea with company's experiences that are created at Sparks are trying to get people to move. Whether they're at a show and buying things right at the show, or whether they're at an experience in a retail store and they're buying things online in the store. That's a trend that's happening right now with experiential retail. What's interesting is that you try to find ways to save money, and digital a lot of times is the best way to do it. Unless there's something really going on that's a good sale some place. Rod Morton: A little bit of both, you know what I mean? I mean, I really like the extorts, especially this time of year. Really like the extorts, I really going to New York, I like going to fifth avenue. Noel Lopez: So the experience is the whole part of it? Rod Morton: Yeah, exactly right. Noel Lopez: And it's crazy, especially with Black Friday and everything. Noel Lopez: Ugh, never again. It was awful. Noel Lopez: It was my first time actually going out in person, so it was ... Yeah, Cyber Monday for me. Rod Morton: Yeah, you'll never do that again. I'm the same way, totally get it. Noel Lopez: So over the past few years, you've been particularly drawn to working with in Search. Do you feel that Search is undervalued by many brands? Rod Morton: Oh I think so, and you know, Search has changed my life basically. Especially my work life. And again, it's something I didn't know anything about. And you know, when we designed the site that we have right now, it was without Search in mind. And so, seeing it on this side of Search, amazing. And it works, and I've been on both sides creative. And now on the Search side, and the SEO side. Noel Lopez: It's either you're doing it or you're not. Noel Lopez: And then I think often times, I've seen some great websites. They look beautifully designed, but there isn't much thought behind the SEO, what's going on with it. Rod Morton: And they're being missed. They're being missed by their target. Noel Lopez: You have this great, great website. This great product. And the trouble is no one can find you. Noel Lopez: It's a grind. Rod Morton: Yeah, and I dig that. I like having that challenge of how to we get our site audit score just a little bit higher? And so there are things that I can affect and things I can't affect, and I'm not a back end guy. But at least I can call somebody, call you guys, and be reasonably intelligent about like, you know, "I think we need to do this to the back end, or at least that's what it's telling me to do." Noel Lopez: And it's funny because once you really start diving into it, you almost gamify it. It's like let me get a couple more key words, a couple more [crosstalk 00:11:07] links. And it really becomes like a constant challenge to get better. Rod Morton: Yeah that little checklist in WordPress? Dude, I love that thing. I live by that little thing, so it's great, that's awesome. Noel Lopez: Exactly. What would you think makes the biggest impact on managing Search just from a day to day basis? Rod Morton: One thing is, we still struggle with and we had to struggle with it right away, was site speed. And site speed, as you know, is the number one thing that will drop you in the SERP. And so we struggle with that daily, actually. And we have our internal set up for the back end is interesting, and I won't go into it but it changes a lot. We add things to servers and pull things away from servers. And we always have to find server space just for our site cause we don't really want anything on the same server as our site because it's so big. It's big for us, I'll put it that way. It's not a huge site, but it's heavy. It's a heavy site. Noel Lopez: The video content. Rod Morton: Yeah, where everybody was like, "Yay. We get all this video and we're going to spend all this money on video," and I'm like, "Let's don't put it up." Noel Lopez: It's like "Wait, wait." Rod Morton: So we have to figure way to compress, we had to learn how to compress videos. We have to learn how to, and still, I'm pretty sure there's some technology out there that's even better than what's happening right now and we continue to strive to make things smaller, smaller, smaller, smaller. Rod Morton: So sites, we fight a lot because of ... Maybe in someone else's site, they have a lighter site. They don't struggle so much. But we have a heavier site. And we're making it work, we want to show the videos on it. I don't want to give the impression that we don't want to do that. Rod Morton: Yeah, I was kidding about that. But, it's like we do wanna do that. Rod Morton: I was kidding about that but it makes a difference and in some of the things we'll talk about later, you know, it does make a difference. Noel Lopez: Yeah. And I think that is a tough battle for I think just any site in general really, because the drop off after three or four seconds is almost like 70%. Rod Morton: It's crazy, right. Noel Lopez: I'm sitting there waiting for a website to load and I'll immediately close out of it, no patience. Rod Morton: We just recently, just in the last two weeks, we changed ... we moved our site to a bigger server and it was the only thing on the server. And we stopped having site issues, site speed issues. Rod Morton: And it was like, "Why didn't we do this ... Why didn't we do this months ago." But that excites me, that thing where we find out and then we strive for something, then we learn, and we execute, and then things happen. And if they're not happening in the direction we need them to, we go back. And if they are, we go to the next thing. But site speed has been a struggle for us but we think we have a good setup now where we can not battle that so much. Noel Lopez: That's great news. I guess aside from site speed, what would be, I guess one of the most important KPIs that you look for in organic search? Noel Lopez: I don't want to get ... don't cookie me, don't give me any of that. Then it just follows you. Noel Lopez: It's the golden number. Rod Morton: ... so our goal is five. We're finding that three to five range is important. So that begs the question, well how do you keep them on your site for five minutes? And it doesn't sound like a long time, in digital time. Noel Lopez: In this day and age, yeah. Rod Morton: It's a long, long time. So the one thing we do is make sure that the content is, which it falls on me, is to make the content compelling enough so that they stay there and that it's answering their question. Because no one is gonna come to our site without a question in their head, do you know what I mean? Because it's a B2B site and they know we're an agency. They know we're trying to get their business, et cetera, et cetera. Rod Morton: And so they come with a question. And so we need to answer that question. All those case studies that we have on our site, we need to answer to those questions and they need to be ... when we first started out, we thought we'll only do just a couple hundred words. And we've completely changed that and it's almost like my design side, that's like an 800 word case study. It was like ugh, you don't wanna do that, right? And the reality is it's made a big difference. It's made a huge difference. Just having ... we were doing like 10 pictures per case study. Literally the last one I did, I had 60. Do you know what I mean? That sounds like crazy but it's working. Noel Lopez: You've gotta cater to your audience. Rod Morton: That's exactly right. Rod Morton: On the one side we want the people who wanna do business with, or who are looking to find an agency and they're being objective about it. We want those guys. But then the guys that are like, "These guys are not for us." They're not gonna read anyway. You know what I'm saying? They're gonna be only interested in certain things. Noel Lopez: ... who's not important. Rod Morton: Yeah. And again, every time we've had a submission that's based on time on page. It's super important for us. Noel Lopez: I think it just goes back to content is king. Noel Lopez: If you're not lining that up properly for your site, it's a huge mistake. It's a huge missed opportunity. Rod Morton: Which we're trying hard to have content of all types, video, images, copy. Noel Lopez: I've seen the videos. You guys do good work there. For this upcoming year, 2019, what challenges and opportunities in the marketing industry are you seeing? Rod Morton: ... The Super Bowl for electronics trade shows. Now everybody feels like they have to have an experience beyond just a trade show build. So we need to take advantage, especially being as old as we are in terms of the age of our company and where we've been, we need to take advantage of that. We really need to drive that home over 2019. Noel Lopez: Absolutely and it's funny that you say ... because there's so much different language within the experiential space and so much different terminology. I know you stress that's really important for getting that in order otherwise no one's gonna take you seriously. Rod Morton: Exactly. If you say the wrong thing, they're like, "Well, you don't know what I need at all." Noel Lopez: So going off of that for this coming year, are there any new emerging technologies you're excited about that you might be implementing? Rod Morton: The no-code or low-code platforms like Bubble, for instance. Noel Lopez: Oh, yeah, yeah. Noel Lopez: That's funny you say that. Rod Morton: ... that's cool." Rod Morton: Yeah, it looks like it. It looks like it's gonna be huge. Rod Morton: And it's cheap right now. Noel Lopez: That's the time to get in, right? Noel Lopez: I know you mentioned Sparks is a brand that's been around for you said a hundred years, right? Rod Morton: Over a hundred, yeah. Noel Lopez: Over a hundred. Do you find any unique challenges with brand awareness or keeping things exciting? Rod Morton: Yeah, like at the World's Fair, for instance. We did the AT&T first phone vignette. Noel Lopez: You guys have come a long way. Rod Morton: Sparks is a family name, which I thought was really cool when I first got there. And the name remained when it was bought out by the four principals that own the company now. It's the work, man. If you keep really, really good work in front of the industry, it doesn't matter how old you are. If you're really good, and we are. I tell you, our creative groups and our digital guys are world class, they really are. Noel Lopez: I've seen the stuff lately that you guys put together. It's phenomenal. Rod Morton: It's crazy, yeah. I wish I could take credit for it. But I absolutely cannot. Noel Lopez: The work that you guys put out time and time again, and the fact that you're able to do everything in-house if phenomenal. Rod Morton: And that's a strong ... that's a marketing pylon that we use a lot. Noel Lopez: So for events that you create, how do you measure the success of those events? Rod Morton: We have this thing called event score. It's basically a protocol for whatever your event is, whether it's a trade show or an actual event, a conference. It's basically about what data do you collect and then how do you use the data. It's really that simple. Your experience will get an event score basically that will sort of lead you down the path of what is your ROI et cetera, et cetera for this particular thing. Noel Lopez: So then essentially that would vary just from client to client, whatever the event is. Rod Morton: Exactly. And usually it's pretty wide. Noel Lopez: It could be anything under the sun. Rod Morton: Exactly, yeah. And as you know, most everything can be measured including this. But before the idea of strategy or measurement was ... like a few years ago, wasn't kind of a big deal. Now measurement is like, you almost have to measure now. Rod Morton: Yeah, exactly right. Yeah. You need to have a goal for these experiences because they can get expensive. Noel Lopez: We've discussed CES a couple times, more than a couple times, out of the builds that you've done for CES, what has been one of your favorites? Rod Morton: The takeover, the Google takeover that we did this year. That was pretty amazing, 6000 square feet. It was like a small house, three stories, completely modern kind of like aesthetic, a Google aesthetic basically. And so it was basically on one half of it just a straight up store where you could go and try out everything that Google makes. And on the other side are experiences, interactions and experiences that are from room to room, that not only are fun but are educational about what Google's about and what Google's about right now versus what it was or what you think it is. That was huge. It took, I think it was 21 days. So basically it was in the parking lot. So think about building a house in the parking lot. That's really what it was including like putting pylons down, and it was crazy. It took 21 days to put it up and I think like 36 hours to take it down because there was some sort of stipulation. Crazy. Rod Morton: Isn't it insane? It's insane. All that's designed, getting on site and putting it up. They didn't get on site and go like, "Oh, what should we do?" Rod Morton: They had it planned down to the nail, down to the bolt, and then the same with taking it down, striking it. It's crazy. Noel Lopez: Everything that goes into that, phenomenal. Rod Morton: Because it looks permanent. I mean it's crazy. Noel Lopez: I think that for anyone who wouldn't know what it was, if they saw that and then two days later saw it wasn't there, would be if they saw that, and then two days later saw it wasn't there, would be extremely confused. Rod Morton: It's like, "What just happened?". Noel Lopez: "Was I imagining this?". Going back to a couple things you said before, you've owned your own agency. Noel Lopez: Tell me a little bit about the challenges you had as an agency. Being a startup, and how you approached those. Rod Morton: The sales versus overhead equation was really tough for us. That was a learning curve that was, it was real day to day. Noel Lopez: Keeping the lights on. Rod Morton: The thing that I always tell, and Chris and I have a past, you know. He didn't have, he wasn't part of this company at that time. He was asking me questions about that, long ago. The first thing I told him, and I would tell anybody now, is that somebody's got to sell. Somebody has to go out, knock on the door. Somebody's got to be good at it. Noel Lopez: Do the dirty work. Rod Morton: Yeah. That was for us, the three principles at Morton and Beck were, we were all three responsible for sales. Although that got tough, especially if I was the creative director and another partner was the writer so to speak. We had about 15 employees at one point. That's a lot of salary. That's a lot of overhead. That's a lot, you know. Then we got into a bigger space, which we probably shouldn't have done. Shouldn't have done that. But we survived. We did okay, we did well. Rod Morton: That was the one thing that sort of made me sit up and take note. Less than a year in I was like, "Okay". Noel Lopez: That's what kept you up at night, yeah. Even like you mentioned, the multiple hats thing too is tough. Noel Lopez: "I've got to do this, do this. Oh wait, I'm juggling five different things. I can't let any of them drop". Rod Morton: Because you don't have a passion about all five of those things. Noel Lopez: Oh yeah, exactly. Rod Morton: It gets, it's tough to shoulder some things. Noel Lopez: It's almost like a checklist. Rod Morton: It feels like work a lot of days, you know? It's like, Paul, you guys will attest. Some days it feels like work. Rod Morton: I think you have to be ready for that if you're going to go out on your own. Especially if you're going to compete with big companies, like you guys compete with big companies. Rod Morton: You guys do it with smartness, you know what I mean? You guys can compete just based on how smart you are and how quick you are, etc. Noel Lopez: That's the only way to win. Noel Lopez: Especially just tackling that, and even going back to what you were saying. It's all about that strategy. Making sure you have everything accounted for down to the nail, down to the bolt. Rod Morton: Yeah. That overhead sales equation is a tough one to learn. You should learn that one before you decide. You need to have somebody say, "Who's going to go do this? ", and are they very good at it, etc. I wasn't good at it and I had to learn how to do it. I became obsessed about it after a while. Noel Lopez: I was about to say, Rod, you're a people person. I think, you know. That's what that is really, essentially, is building those relationships. Making sure you're listening to their needs. What it is they're asking for. What they want. But also being that collaborative partner. Noel Lopez: Don't be afraid to say, "Maybe you should do this instead of what you're doing now". Rod Morton: If they see your passion, especially if a target sees your passion, they'll respond one way or the other. You know what I mean? "This passion, is this the kind of thing we need for us? Or is it not? Is it too much? These guys are over the top", or whatever. Noel Lopez: Yeah. When you started your own agency, do you have any additional advice for anyone who might be looking to take the plunge? Rod Morton: Yeah. Don't be afraid to not know. You're going to feel stupid some days. You need to be, again, for me it goes back to being a lifelong learner. I just don't mind looking crazy. I'll ask crazy questions. Depending on what kind of personality you have, whether you could stomach it or whatever, I'm totally, my wife and son will tell you that I ... There's only one opinion that counts. Noel Lopez: Yeah. Isn't that how it usually goes? Rod Morton: I don't mind being wrong. You know what I mean? I don't mind asking questions. I ask you guys questions all the time. Noel Lopez: That's really one of the biggest things, is knowing what you don't know and making sure you learn about it. Rod Morton: I'm sure Bryan is thinking, "Why is this ... He should know that". Noel Lopez: It's absolutely ridiculous. Again with the agency, what made you want to start that? Rod Morton: I've had entrepreneurial sort of tendencies even when I was in college. I started, a friend and I started a couple business, tee shirt businesses in college. Rod Morton: I never thought when I got out of school that I was going to go work for somebody else. It just never dawned on me that that was an option for me. Even though I have, and I'm actually working for somebody else now and I love this job. Rod Morton: But it's, I don't know. That's a good question. I think it has to do with just wanting a challenge. I'm a little bit OCD. Rod Morton: Oh my god. I take a challenge and I won't let it go until I'm either exhausted or dead, you know what I'm saying? Noel Lopez: Take it to a new level. Rod Morton: Whether I was there or not, I wanted to create something that had some legs to it. That's kind of how I ... Not everybody's like that, I don't think. Rod Morton: I don't think I'm special or anything like that. But there's a tenacity to somebody who is really trying to make something work and just won't take no for an answer. Rod Morton: You're wrong a lot. You know what I mean? You ask a lot of questions and you're wrong a lot. That's okay though. If you can stomach it, it's good. Noel Lopez: I think that's the biggest thing, is just not taking that personally. Noel Lopez: If you are wrong. It's not a bad thing, it's a learning curve. Noel Lopez: You'll get there. Noel Lopez: That's a hell of a scary shift. Rod Morton: Like, "Does he really know what he's doing?". The answer was, "Not really". I didn't really know what I was doing, but I knew that there was some creative, the creative was the same way for me. Whether it was, for whether it was print or for digital, the idea of a good concept was what I was after, right? How it got executed was not my problem. Rod Morton: You know what I mean? But the team that I had back at PubMo, for Heineken, and all five or six of those guys were, they're top notch creative people beyond being able to execute, which made them totally dangerous. I mean you had Ron and Jason Baskin and Pete Carly and those guys. Those guys were just scary. Noel Lopez: Being able to understand that is what really I feel like sets you apart. Rod Morton: Yeah. I mean they were just, it was easy to lead because I don't know that I was actually leading. You know what I mean? Rod Morton: It was all just like, "You know, that's a great idea. Let's do that". Noel Lopez: Yeah, "Let's go with it". Knowing what you know about the digital marketing landscape, do you think that would have affected how positioned and marketed your company? Rod Morton: Oh, no doubt. Talking about this little app business that I'm working on, I've already ... You know, the program's not even complete and I'm already considering what my SEO structure's going to be for the site, how the app's going to work with the site, etc. Noel Lopez: 10 steps ahead. Rod Morton: Yeah, so it's like, I'm trying to be digital first in this. I mean, it's a digital product to begin with. But in terms of my thinking, instead of trying to out-creative out-market myself right now, just do block and tackle. Get the communication down, and then worry about the creative later. Of course get the program finished. Then figure out how I'm going to do the native app, which you know, I've been looking at Bubble, so kudos to Bubble. Noel Lopez: Definitely. They're doing big things. Rod Morton: Oh, it's no doubt. Noel Lopez: Yeah. You're selling your products. Rod Morton: Even in the retail spaces now, digital plays a major part or is going to play a major part in the next year or so. You're already buying an app or you're already buying things in the store without having to talk to anybody. You just point and click your phone, and you just walk out with it. That's not going anywhere. That's going to get, there's going to be more of that. Noel Lopez: Rod, is there anything else you might want to tell our listeners you feel it might be helpful for them to hear? Since we've got you here? Rod Morton: Embrace SEO. Embrace SEO. Noel Lopez: You hear that, guys? Embrace SEO. Rod Morton: Yeah. It's cool. It'll make your life so much easier, and it'll impress your friends. Let me tell you. It'll impress your boss. It'll impress your colleagues. Noel Lopez: SEO's the way to go. I mean, we firmly believe that too. It is a little tough, because sometimes it's almost finding the proof in the pudding. Noel Lopez: But once you see that, your whole life changes. Noel Lopez: It's taking that first step. Rod Morton: Yeah. It's just, get into it and then whatever happens after that, you'll go with the flow. It's easier the more you do it. Noel Lopez: Okay. Well Rod, thank-you for teaching us more about the digital marketing industry and experience from starting your own agencies, to leading digital marketing at Sparks. I wanted to thank everyone for tuning in to E Commerce Disruptors. Please subscribe and comment. You can follow us on Twitter, Facebook, and Instagram, @electricenjin, and find more information at electricenjin.com. Noel Lopez: This has been the E Commerce Disruptors podcast, presented by Electric Enjin. Subscribe today to stay up to date on all future episodes. Please follow us at @electricenjin on Instagram, Twitter, and Facebook, or shoot us an email at podcast@electricenjin.com. That's Enjin spelled E-N-J-I-N. Feel free to leave us an E commerce request about this episode, and let us know what you'd want to hear on future episodes. Until next time, thanks for listening.